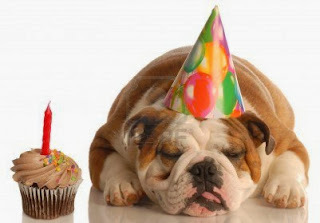 Idiom: Party Pooper; used as a noun. Meaning: A Party Pooper is a person who often tries to reduce the interest or enthusiasm of others. In this example, the majority of the group was very enthusiastic about having a summer barbecue party at the beach. However, Cindy did not share their excitement over the idea and immediately started to complain about it. The idiom, Party Pooper, is often used to describe someone who does not share the same interest as the group and often tries to discourage them either intentionally or unintentionally. This idiom can be used as a non-offensive way of describing someone who often disturbs the fun of others. The idiom is most commonly used as a noun. This idiom is from the book "Everyday Idioms for Reference and Practice – Book One" which is used in the LSI Intermediate Conversation Class. Idiom: To Pick Up the Tab; used as a verb. Meaning: To Pick Up the Tab means to pay for the cost of something, usually a meal. 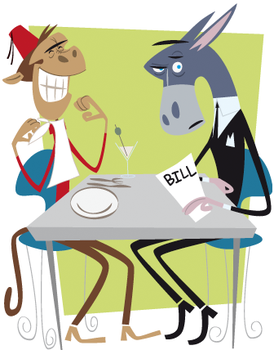 In this example, since Sam had invited Alice out on a date, it is customary in most Western societies for men to pay for the first meal of a date. This idiom can apply to any situation where somebody intends to pay for the full price of a meal. This idiom is used as a verb in this example. This idiom is from the book "Everyday Idioms for Reference and Practice – Book One," which is used as the primary textbook in LSI’s Intermediate Conversation classes.